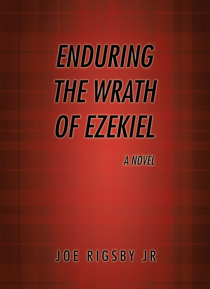 IHG® Rewards Club - eBook - &quote;Enduring the Wrath of Ezekiel&quote;. &quote;Enduring the Wrath of Ezekiel&quote;. LANCE CARTER, a contemporary twenty-year-old struggles to determine self-worth while staying in a three-bedroom apartment with a former high-school thug, JEREMIAH LISATH, and a long-term female companion; LARISSA BELLES yearning for a deeper relationship complicates Lances already deteriorating mental state. On top of reality constantly reminding Lance of his worthlessness, a recent fit of horrifi… c nightmares causes so much distress that it forces him to rethink his sanity. In this dream, Lances true self is shown. The altered persona Larissa refers to as ZEKE. Meanwhile, an unfortunate antagonist combats his own issues. A fallen father, a dying mother, ALDRIC CAIN cant seem to catch a break. Thankfully, his family is financially secure, but that doesnt make up for the sentiment one receives from those who care about them. With everything in his life dissipating Aldric decides to forgo his own mental trauma. All that matters to him is taking care of his little sister, NATASHA. His unwavering goal of protecting his sibling is convoluted by the arrival of FELIX, Aldrics own supernatural representative. But on top of a psychological battle among characters, these dreams something about them seems too real. The characters in them, Zeke of Lances nightmare, and Felix, the Forceful entity plaguing Aldrics mind seem all too real. In time, the purposes of these guardians are shown. Zekes purpose, as a Seraphian, is to protect and serve the person they serve. Felixs motive, as an Odian, is to manipulate and corrupt. Integration of the characters in an everyday environment initializes an eternal struggle against good and evil. What started out a petty quarrel among men evolves into a full-scale assault among sentinels. So which side will you choose? Seraphian the Path of Light, Or, Odian the Road to Darkness. Other ebooks releases by Joe Rigsby Jr.